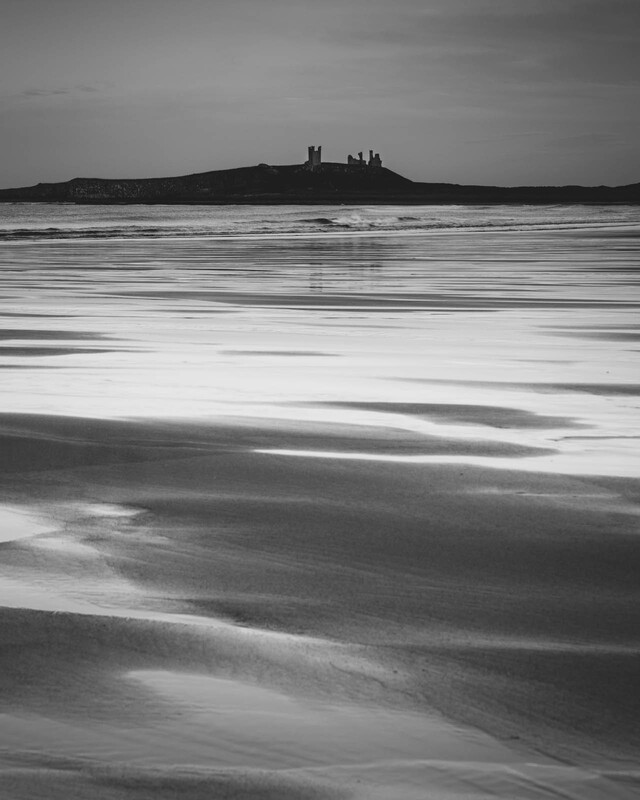 Having just returned from a week in Northumberland I thought it would be worth a quick write up alongside some of my favourite images. 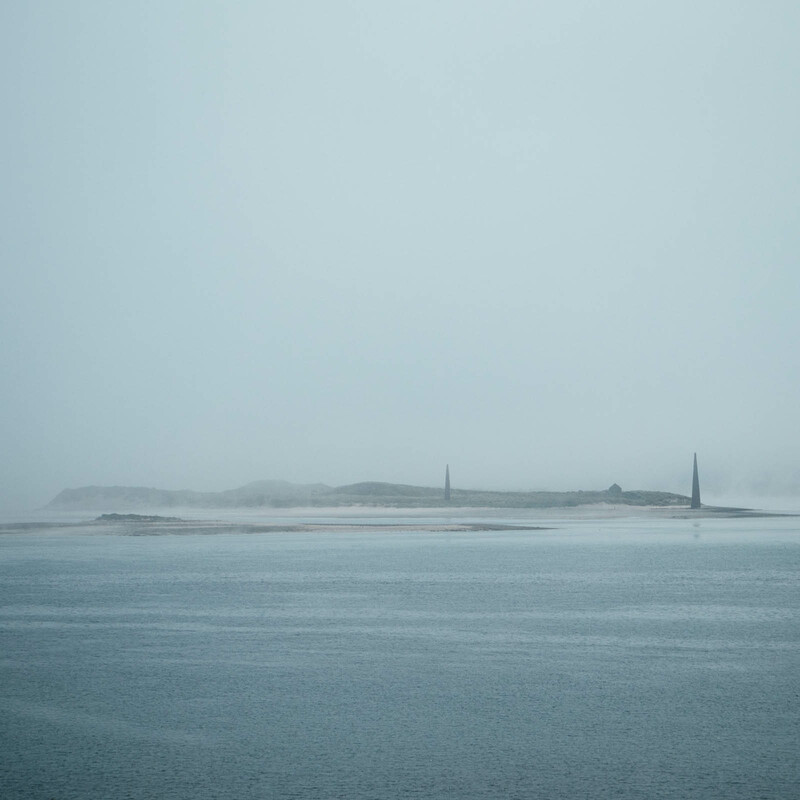 I don’t often get out of Nottinghamshire with my camera, so a trip to the coast was a big change in subject for me – I was looking forward to the challenge of doing something different. It was a family holiday so most days I wasn’t concentrating on photography but I managed to squeeze a bit of camera time in. 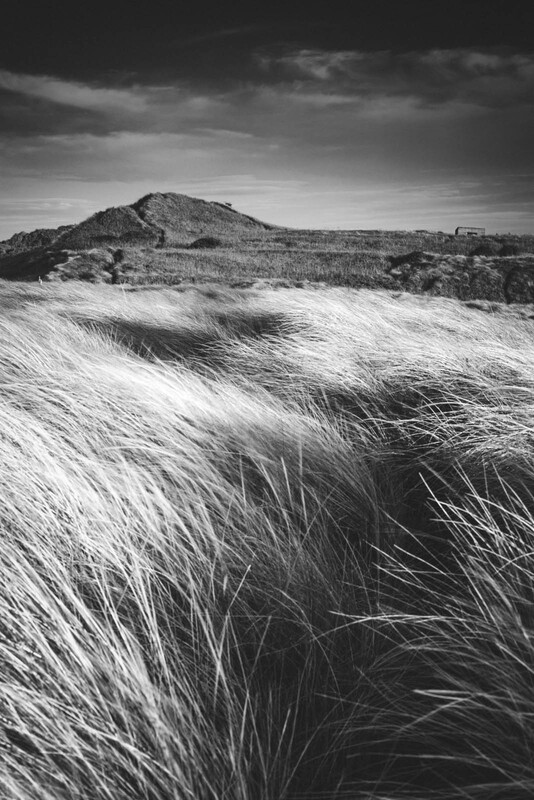 The first day was spent over on Holy Island meeting up with some more family, I just took my little Fuji X-M1 which is my walk around camera for when I don’t want to carry the big Canon, perfect for these sorts of occasions. I had a bit of a play with my body cap pinhole at various locations, but didn’t get anything that quite made the cut. To be honest I wasn’t expecting much photographically from that day, but in early afternoon a sea fret came in, I quickly grabbed a few shots including the two below before all visibility was gone. That evening the weather was still looking good so I decided to head up to Cocklawburn beach for sunset. 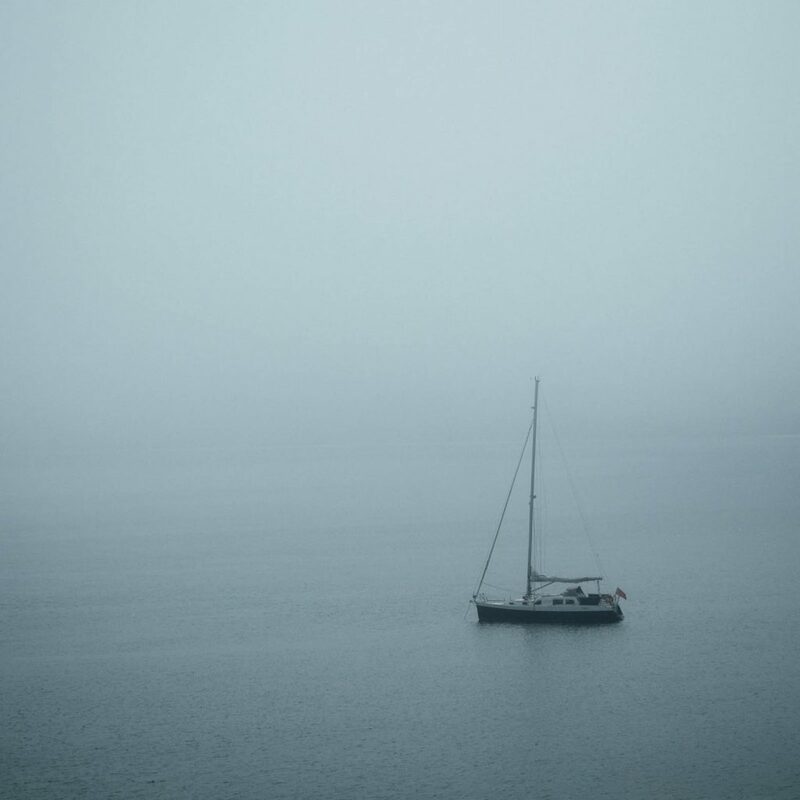 In the end there wasn’t much colour, and I really struggled with composition. I’m used to shooting small intimate woodland scenes with no sky, and didn’t realise how much of a comfort zone I was in until I was faced with big wide open views and didn’t quite know what to do. It was also a big change having to worry about exposure times and filters which I don’t normally use too much and it made me realise how much I’m missing some lighter ND filters, 3 and 6 stop filters are going on the Christmas list! 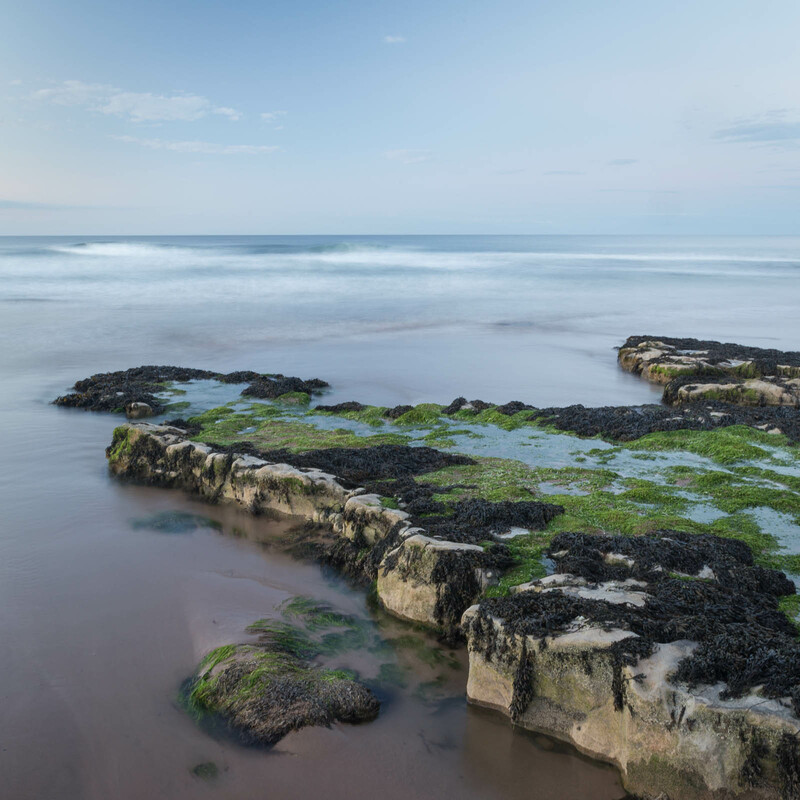 The last extra challenge was dealing with an incoming tide, there’s not normally much time pressure in my photography but a couple of times here my shots were ruined by the sea coming in quicker than expected, or the tripod sinking into wet sand. Despite all this I managed one image I was happy with. 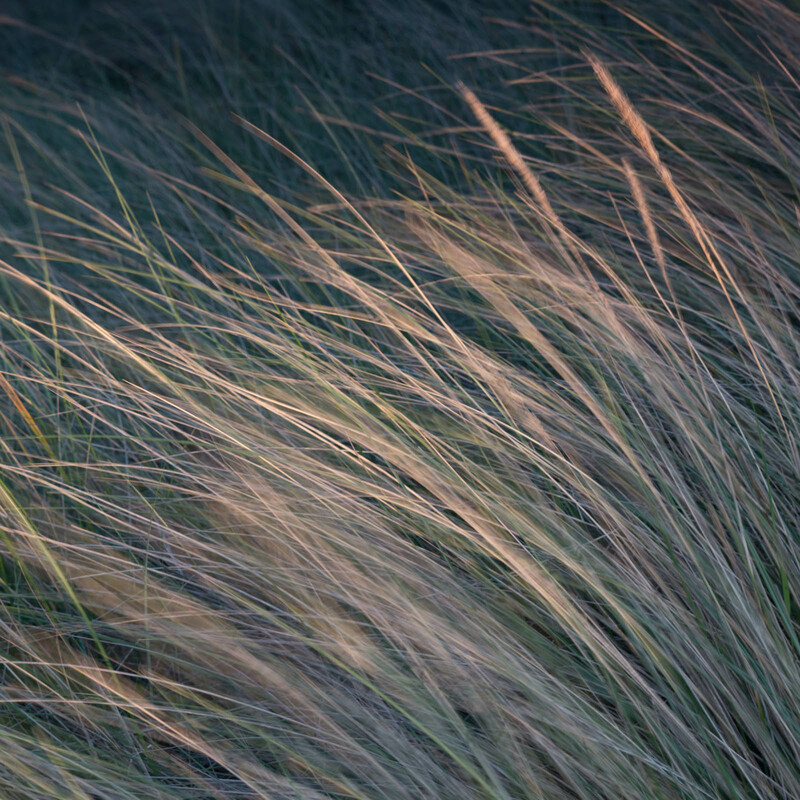 The next evening I’d arranged to meet up with Andy Gray and Anita Nicholson who are both local to the area, I’d met Andy a couple of times before but first time meeting Anita, it’s always great to catch up with other photographers and it’s something I’ve really been trying to do more over the last few months. 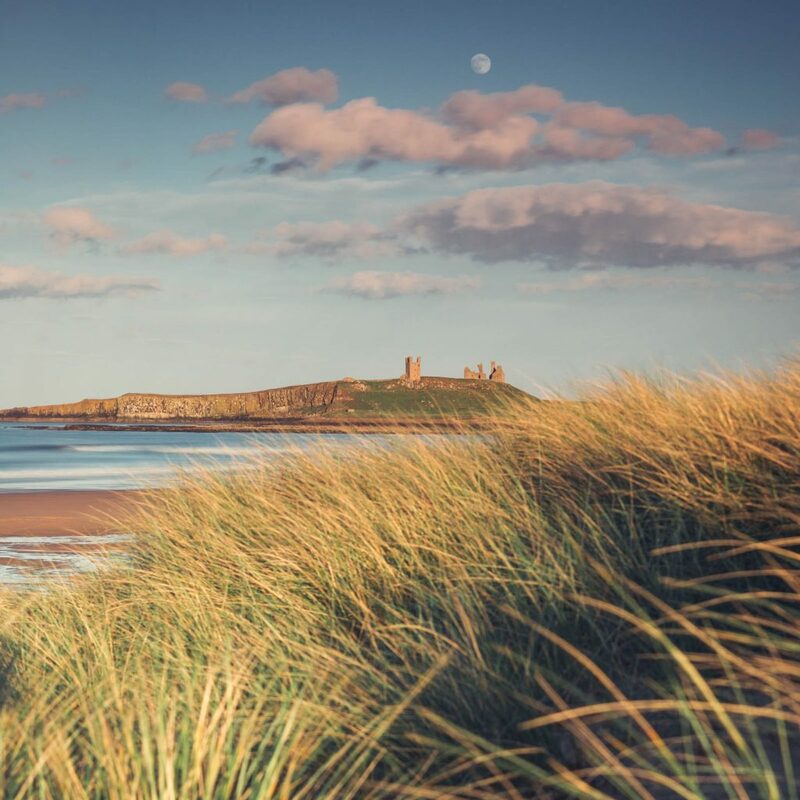 We met near Bamburgh Castle which I’m sure they’re both sick of, but it’s difficult on a brief stay to really explore less know spots, so I do enjoy checking out the popular locations when visiting somewhere new. Again the sky didn’t really do much, but I got a photo of the castle I’m pretty pleased with. 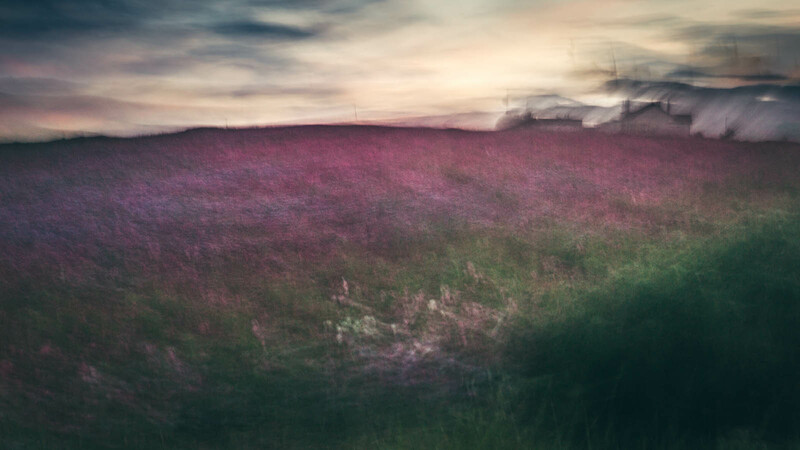 I wanted to try and get a different take on the location as well, so spent some time after the best light had gone experimenting with ICM images, first of the castle itself then the amazing wild flower field just across the road from the beach. A few days later I bumped into Dave Ball and Kathy Medcalf near Howick, I knew they were staying nearby at the same time and was hoping to arrange a shoot together at some point, that didn’t quite work out but it was great to meet anyway and have a quick chat. 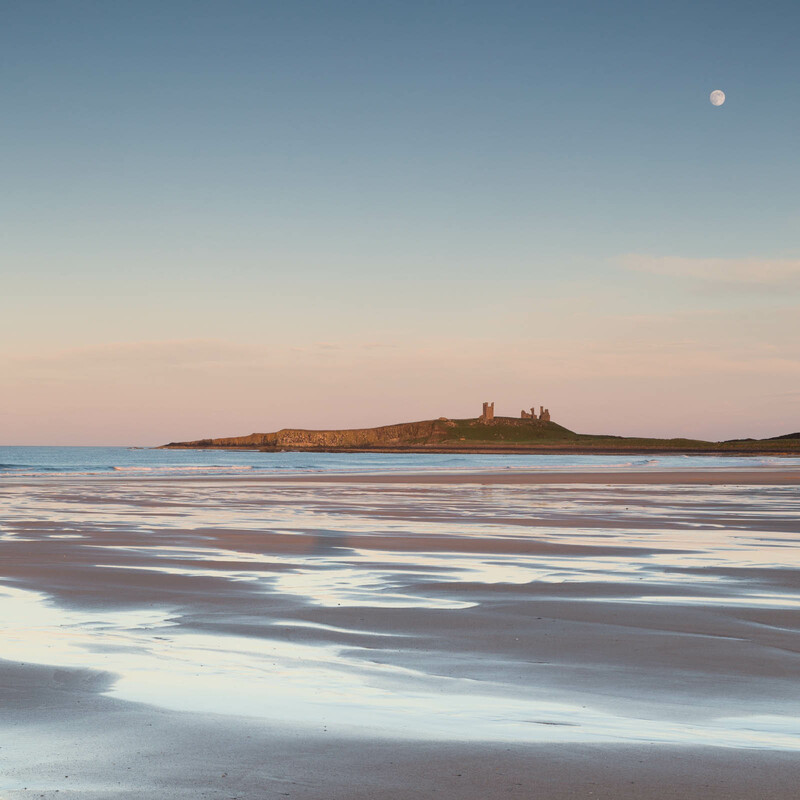 The last photo opportunity of the holiday was later that evening when I headed over to Embleton to meet up with Simon Lowe and take a few shots around Dunstanburgh Castle as well as the beach and dunes nearby. Another place that has been photographed many times, it may be a bit of a cliché but for me it’s still good to get my own take on some of these spots. 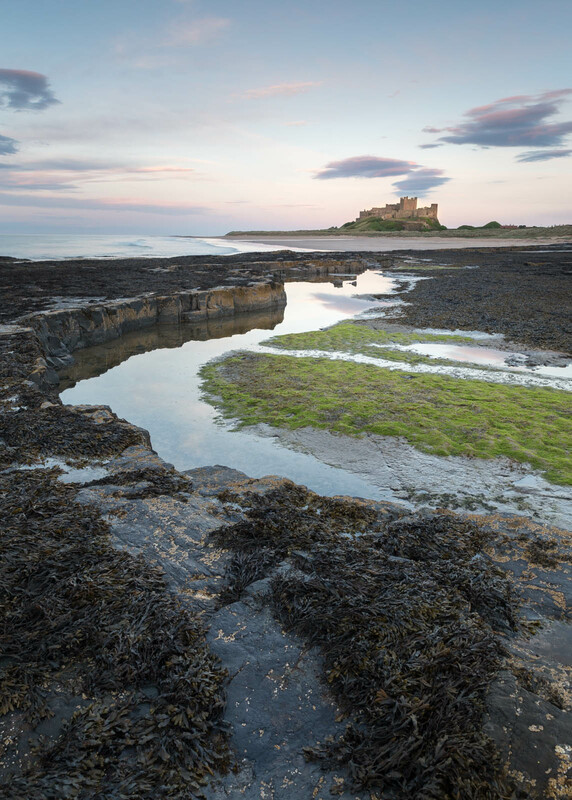 There was some great evening light and the moon lined up nicely with the castle, and like at Bamburgh I tried to capture a mix of straight shots of the location as well as some more abstract and detailed images. These three were my favourites showing the ruins in slightly different ways. 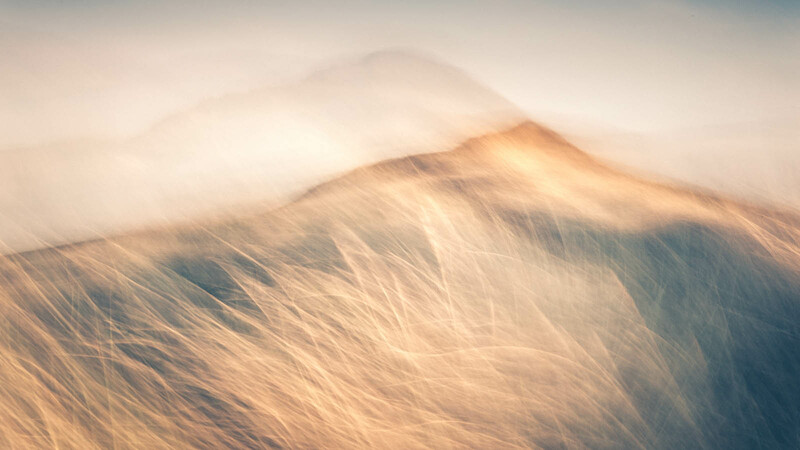 The rest of the time was spent among the dunes, with the camera pointed away from the castle, it was great to shoot some abstract and less obvious compositions. A very enjoyable holiday overall and good to do some photography in an area completely different to my normal spots, it would have been nice to spend a bit more time exploring less known locations and doing more creative photography, but I usually find that’s something I’ve got to settle in to once knowing the area. The good thing is I now feel like I’ve ‘ticked off’ a couple of the best known landmarks, so next time I visit I’ll probably take a different approach.